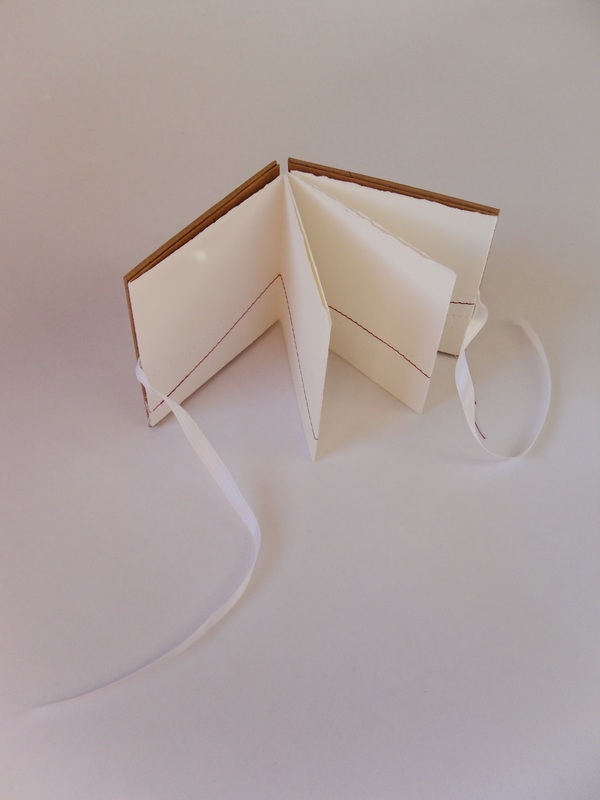 This edition of 5 was inspired by some cards I stitched up for Mother's Day. 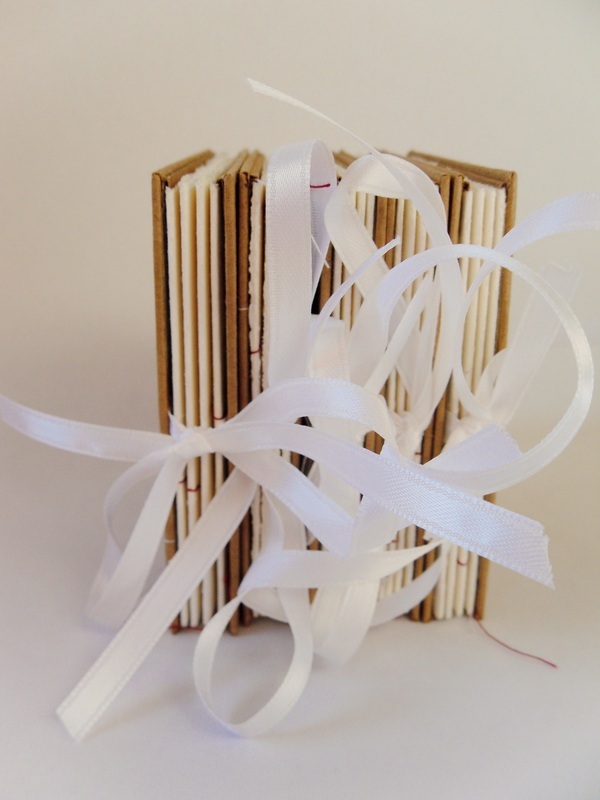 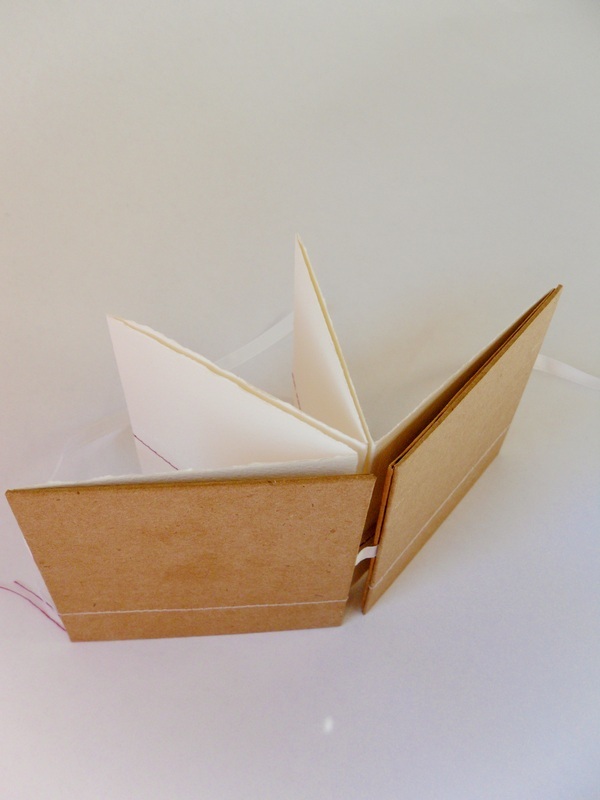 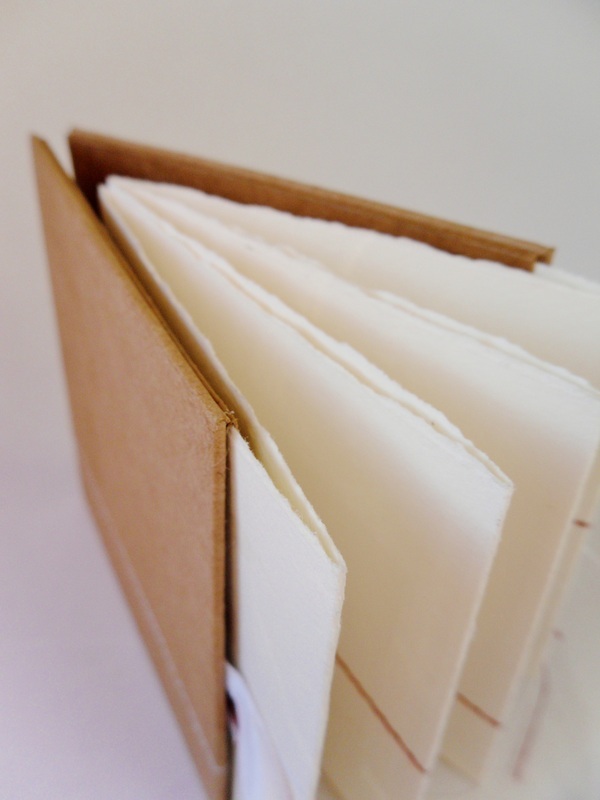 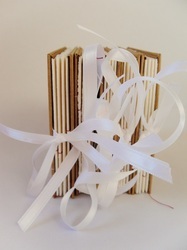 Each individual book is a small accordion style book. 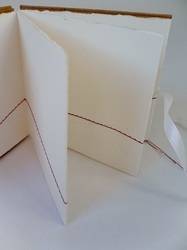 The covers have a stitched detail across the cover and they are connected by a ribbon. The text blocks are a continuous accordion page, with three separate lines of stitching, two white and one red, that run from one end to the other. 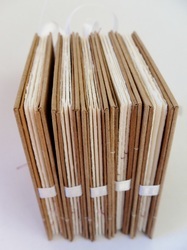 The books can be read in two ways; either as a normal book once untied and opened, or as a full accordion page when the page is removed from the cover pockets. 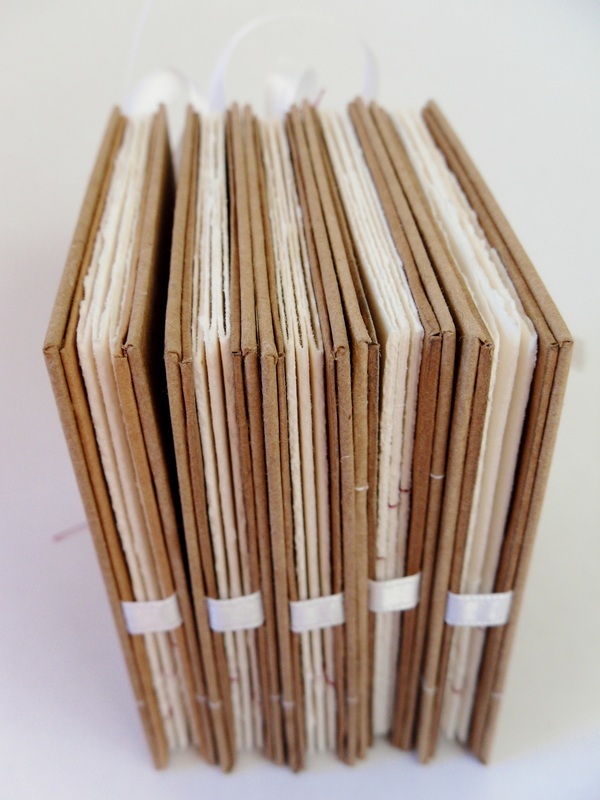 Once removed from the covers, the book reveals two hidden pages, which the owner can write a personal note on.